An agreement on environmental protection technical cooperation between Taiwan and the U.S. was renewed for the fifth time on September 19 2017 at the EPA’s headquarters in Washington DC . The renewed agreement was signed by James Kuang-jang Lee, the Deputy Representative of the Taipei Economic and Cultural Representative Office (TECRO) and John Norris, the managing director of the American Institute in Taiwan (AIT), and witnessed by Taiwan’s EPAT Minister Lee Ying-yuan and EPA’s OITA Acting Assistant Administrator Jane Nishida. 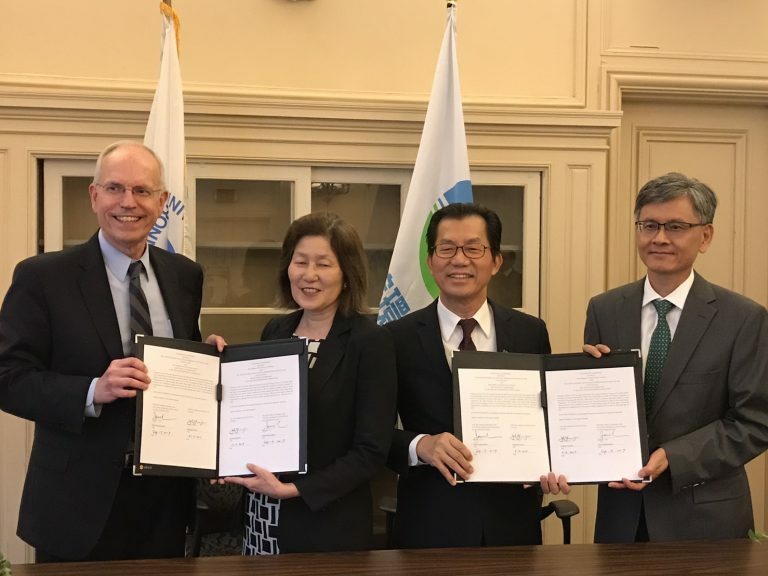 First signed in 1993, the agreement underscores the commitment on both sides to make joint efforts in tackling key issues threatening human health and the environment. In addition Minister Lee later delivered a keynote address at the Center for Strategic and International Studies on Taiwan’s environmental leadership.